Everyone is always looking for the best way to save gas. It is too expensive to waste it these days. If you’ve found yourself wondering how you will get to work if you run out of gas or are just trying to save money, there are a few tips that may help you save some money. 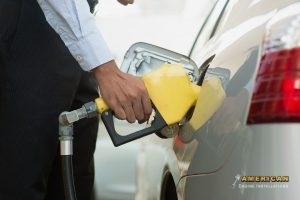 Many people have to fill their gas tank up once a week and believe it or not, some even more than that if they commute to work a long distance. Saving your gas has never been more important. This is why we are seeing more and more hybrid or electric cars coming out, because the price of gas is overwhelming for anyone. Here are a few ways to save your gas. 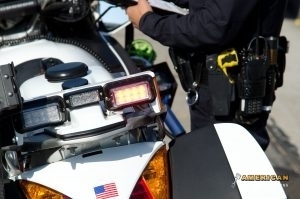 Slow Down – If you take off fast at a stop sign, you are putting added pressure on your vehicle. When you do this, it forces your vehicle to work harder, thus using more gas. If you take off slowly at a red light or stop sign instead of pushing your foot to the floor, you will quickly start to notice your gas tank lasting longer and longer. Roll Down The Window – Not only is this a great way to relax and enjoy the fresh air, but if you are just driving around, it can avoid you having to turn your A/C on. If you are driving on the freeway, it is important that you don’t have your window down as to not make your car work any harder than it has to and in turning you save gas. If you are looking for ways to save gas, or need to get your car looked at, give American Engine Installations at (404) 289-9997 today. Posted in Uncategorized on February 15, 2018 by American Engine Installations. As a long-time car owner, you probably know that oil changes are an essential part of car maintenance. You may wonder, sometimes, if the frequency recommended by manufacturers and auto mechanics is really necessary. There may be some debate about that. However, overall, anytime by which you’ve driven your car many miles, or your car has been subject to a lot of environmental wear, like winter weather, you should take your car in for an oil change. Get an Oil Change to Save Your Engine. In some places, the coldest season has passed. But, in many locations, the weather is still cold and harsh. As strong as your car and its engine are, they feel the effects of this weather, too. That’s why basic services like oil changes are so important. Some oils work better in your engine during winter than others. So, it’s a good idea to have your oil changed prior to winter and talk to your mechanic about a different oil for the short term. Then, after winter, have your engine checked and your oil changed. You can go back to your normal, recommended oil. Or, if the cold temperatures aren’t quite over, you might keep the oil that’s better for winter. You mechanic will let you know what’s best. Either way, having an oil change, or at least having your engine checked, is the best way to make sure that your engine is in the best possible shape. Call American Engine Installations today for all your engine services in Marietta, GA. Reach us at (404) 289-9997. Posted in Uncategorized on January 11, 2018 by American Engine Installations. Our professionals can help you decide whether high octane fuel is best for your engine. We have all seen the gas station commercials with the talking cars that absolutely love high octane fuel. We have also heard the advertisements that tell us this fuel is better for our engines and the life of our cars. But is it really? The truth is, it depends. When is High Octane Better? High octane fuel was made for high-performance vehicles. High octane fuel simply means the formula can withstand more compression before igniting. This leads to more lubrication for high-performance motors that run at hotter temperatures than normal engines, leading to a longer life for your engine. When is High Octane not Needed? This type of fuel is not needed for normal engines. Your vehicle’s engine produces a certain amount of heat or combustion pressure when it runs. A high-performance vehicle will produce higher combustion that needs extra protection. However, in a typical vehicle, normal combustion takes place and regular octane fuel will suffice. In fact, many times lower octane fuels can work better in typical car engines. The fact is, unless you drive a high-performance vehicle, high octane fuel is not needed and really has no benefit. For your traditional car engines, save yourself some cash and opt for regular unleaded at the pump. If you are not sure which type is best or would like to know more about your vehicle’s individual needs and recommendations, call the American Engine Installations professionals at (404) 289-9997 to schedule your appointment. Posted in Uncategorized on November 6, 2017 by American Engine Installations. Safe Driving Can Save Your Life, and Keep You Out Of Trouble! Driving is a very dangerous activity, despite how common it is. Because so many people drive, and because it is such a necessity, people often forget just how dangerous driving can be. Today we will discuss 3 dangerous driving situations to avoid, and to watch out for on the road. As always, remember that no matter how great you think you might be at driving, it is essential to always drive defensively in case other drivers are distracted or worse! Drunk driving is widely regarded as very dangerous, yet it continues to happen on a daily basis. And while many people think the problem is only at night, studies show that drunk drivers can be found on the road at any time of day. Statistics also show that someone is killed in a drunk driving accident every 53 minutes, which gives every driver on the road a 2 in 3 change of being involved in a wreck. Simply put, watch out for drunk drivers, and never drink and drive yourself! Tired driving is another driving situation to avoid. Tired driving accounts for the majority of 18 wheeler accidents, and is responsible for thousands of deaths each year. In fact some studies have shown that tired driving can be more dangerous than “tipsy” driving! Distracted driving can come in many forms, including reading at stoplights, rubber necking, and of course, texting. Texting while driving has been made illegal in many cities because it has become such a huge source of distracted driving. Remember that when you are driving, you have your life, as well as the lives of other people in your hands. Focus on the road, your distractions can wait until you reach your destination. If that text message just can’t wait for any reason, pull over into a parking lot and answer when the car is in park. Posted in Uncategorized on October 4, 2017 by American Engine Installations. What Causes Our Car Engines To Fail? There Are Many Things That Can Cause Engine Failure. Our car engines are the most vital part of our car, which is why they should be kept in great shape. While this is true, car owners have a tendency to forget to do the proper engine maintenance. Because of this, we are prone to engine failure. But what causes engine failure? Below are causes of engine failure in your car. Engine oil is essential to reducing friction and keeping it in excellent. However, without proper lubrication, your engine can fail. Keep your engine well lubricated and you should be fine. There are many ways an engine can overheat which include, coolant leaks, a damaged waterpump, a damaged radiator and more. It might seem crazy, but using the wrong fuel for your car can have negative consequences to your engine. It is recommended to flush your cooling system every few years in order to prevent blockages. One of the biggest ways to damage your engine and potentially cause it to fail is by not flushing the coolant out. If you have done any of these things then you might be at risk of engine failure.While it is a stressful thing to deal with, our mechanics are here to help you. 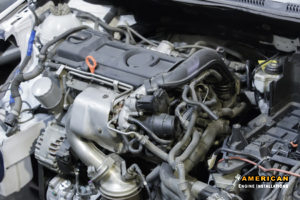 If you are in need of engine replacement in Marietta, GA or the surrounding areas, please call American Engine Installations today at (404) 289-9997 for high-quality and affordable engine services for your car. Posted in Uncategorized on August 23, 2017 by American Engine Installations. Worn out gaskets can cause water pumps to fail. In cases such as these, coolant will begin to leak on the front floor of your car. Leaks like this tend to get worse if unresolved, which makes having a trusted mechanic a priority for car owners. Call American Engine Installations to have your car inspected. If your car’s interior gets too humid, it can fog up the windshield. 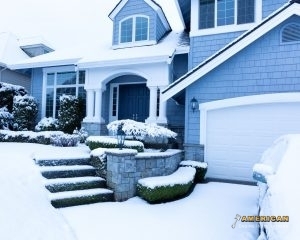 If the defroster function does not work, it could be a sign of a bad heat pump. This is very dangerous, as the fog can cloud your visibility and make driving safely an impossibility. In situations like this, pull over and call a mechanic. Nothing screams broken water pump more than engine overheating. The temperature gauge is designed to let you know if your vehicle is overheating, and that you require immediate repair. Driving with an overheated engine can be extremely dangerous, and is not recommended. If you notice a high pitched sound while driving, you might have a bad water pump. This sound is likely originating from the motor, and indicates a loose pulley and a deteriorating pump. If the sound becomes more pronounced when your car accelerates, a mechanic should be contacted immediately. Call (404) 289-9997 for water pump repair in Atlanta, GA.
Posted in Uncategorized on July 20, 2017 by American Engine Installations. Watch Out For These Symptoms Of a Blown Head Gasket In Your Car. The head gasket in our car is important in order to keep the fluids in our engines completely separate. When you have a blown head gasket, it can cause corrosion which can lead to a lot of engine trouble. In order to prevent this from happening, it’s important to know symptoms of a blown head gasket, so you can get it fixed as soon as possible. Below are four symptoms of a blown head gasket in your car. If you see white smoke coming from your car’s exhaust pipe, this is one of the major symptoms of a blown head gasket in your car. The reason there is white smoke is that coolant is leaking into the cylinders. If you happen to change your oil and you see that the oil looks milky or frothy, this is an indication of a blown head gasket. This is caused when the oil and coolant in your car ended up mixing together. A sign that you have an overheating engine is a loss of coolant. Overheating engines due to loss of coolant can be one of the symptoms of a blown head gasket in your car. The coolant in your car will leak into your cylinders causing your car’s engine to overheat. Coolant levels should be kept at a consistent level. If you happen to check your coolant levels and they are lower than they should be, this could be caused by a leak that is due to a damaged head gasket. 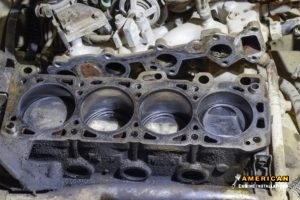 If you need a head gasket repair for your car in Atlanta, GA, give American Engine Installations a call at (404) 289-9997. Posted in Uncategorized on June 19, 2017 by American Engine Installations. Keeping your engine at top performance with some basic maintenance tasks can help to increase the lifespan of your vehicle. When you don’t stay on track with regular maintenance tasks, you run the risk of wear and tear in the engine which can lead to expensive repairs. Changing your oil and making sure to keep it topped up is extremely important. Without enough clean oil, the engine can suffer from issues caused by the lack of lubrication or the debris build up in old oil. Check your owners manual and change the oil based on the mileage requirements of your vehicle. Coolant is required to absorb heat from the engine to prevent it from seizing. This is a simple maintenance task you can complete on your own. Check the owner’s manual for the location of the coolant reservoir. Just like the engine oil, you’ll want to keep an eye on the coolant levels and top it off when necessary. There are a couple belts inside the engine compartment that connect several pulleys attached to the parts like the alternator. These belts can wear down over time. Have your timing belts inspected every 25,000 and have them replaced if necessary. 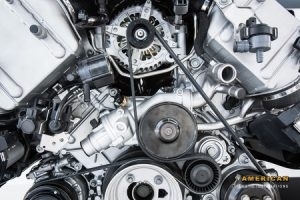 Are you in need of engine maintenance in Marietta, GA? Contact American Engine Installations today at (404) 289-9997 for expert engine services from trained technicians. 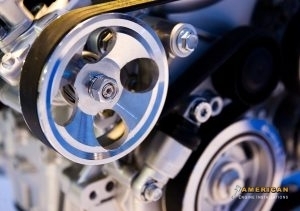 We provide engine repairs, timing belt replacements, and more! Give us a call or come by our shop on Marietta Industrial Drive. Posted in Uncategorized on May 15, 2017 by American Engine Installations. 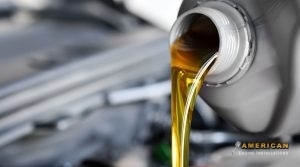 Oil changes are a vital aspect of vehicle maintenance that keeps your engine working properly. Changing the oil on a regular schedule is important. You might’ve heard that you should change the oil every 3,000 miles or 5,000 miles. In reality, that number will change depending on your vehicle and the driving conditions you typically deal with. First check your owner’s manual to determine the suggested mileage for your vehicle model. This could vary depending on the type of vehicle and the engine it uses. Once you know the manufacturer’s recommendation, you’ll want to take into account your driving habits and conditions. The recommendations you find in your owner’s manual will be based on what they consider normal driving conditions. There are certain conditions that could require oil changes more frequently. If you regularly drive in stop-and-go traffic or take short trips that are ten miles or less, it can have an effect on the amount of oil used for engine performance. If you live in a rural area, the dust and dirt can affect the quality of the oil being used. If you’re not sure when your vehicle needs an oil change, you can check the quality of oil around the time it’s recommended by the manufacturer. This will give you an idea of whether the oil should be changed earlier or later depending on the quality of the oil. Does your vehicle need a tune-up or engine maintenance? Contact American Engine Installations today at (404) 289-9997 for in Marietta, GA.
Posted in Uncategorized on April 10, 2017 by American Engine Installations.